Parking available in Squaw Valley Resort parking lot adjacent to PlumpJack Cafe & Bar. Attentive service, extensive wine selections, and high standards of excellence combine to create a world-class dining experience and impressive on-site catering services for your special event. We look forward to making all of your dreams for your event a success. 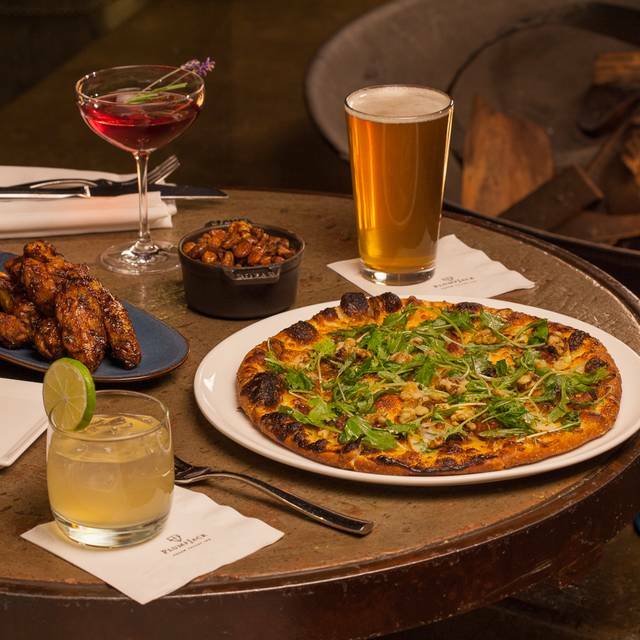 Celebrate with style at the PlumpJack Squaw Valley Inn! Whether you are planning an anniversary, birthday party, shower or family reunion, PlumpJack offers attentive service and personalized planning to create memories that will last a lifetime! 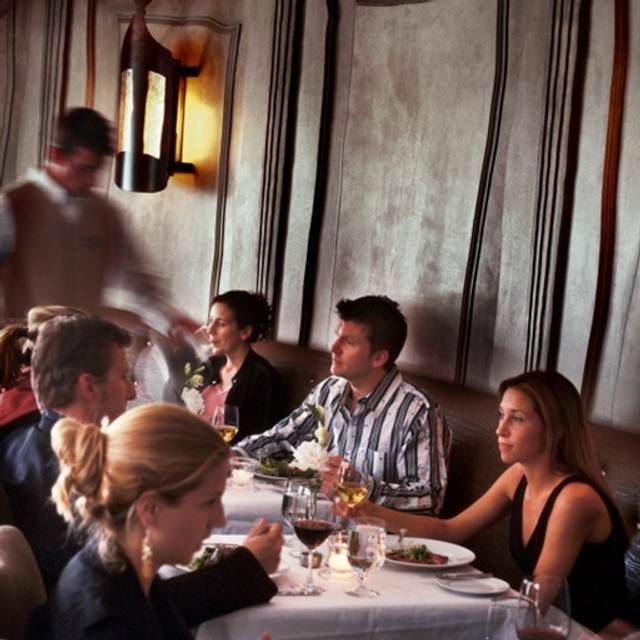 PlumpJack Cafe is widely regarded as Lake Tahoe's premier dining destination. Fine dining and exceptional wines are in our heritage, and we'd love to share our passion with you on your next visit. For those seeking a refined experience, dine with us in the elegant PlumpJack Cafe. Offering dinner nightly from 6:00-9:30 PM starting June 14, 2019 . The menu features distinctive seasonal entrees along with PlumpJack Signature dishes. Looking for a relaxed dining experience? 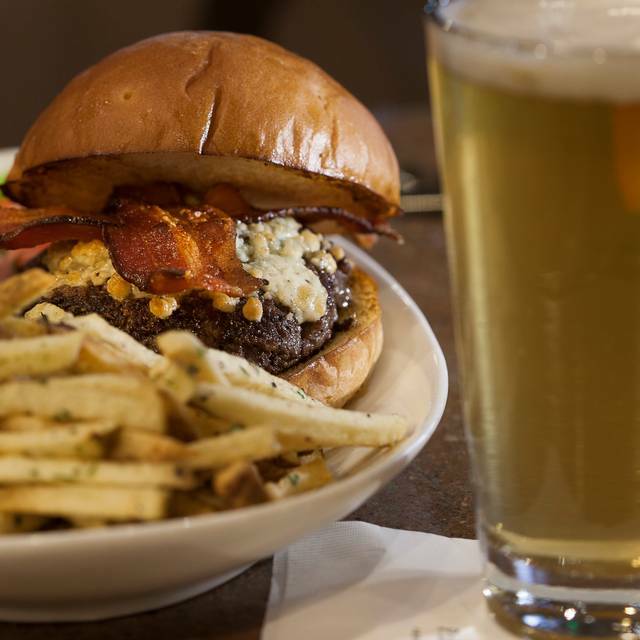 Join us at PlumpJack Bar, open daily for lunch & dinner from 11:30-10:00 PM. We offer a complete and unique menu that is sure to satisfy you after a long day in the mountains. PlumpJack Bar is first come first serve and during peak busy times or holidays we experience a wait for bar tables. PlumpJack Cafe will open on June 14 with a fresh, new seasonal menu. I would not recommend a buffet like the one we went to. The food on the main menu is so much better I was very disappointed with the food . We ate at plump jack cafe for Easter brunch. Food was delicious, service was great, ambiance was clean with beautiful Mountain Views. My only suggestion is to have a clear kids menu and perhaps one or two items that are less adventurous for adults. Menu was a bit limited but food and service and ambiance was great. Very convenient as well. We love PlumpJack's for breakfast and for dinner. The variety at breakfast is perfect, and each item whether it's scrambled eggs, bacon, fruit breads, incredible homemade granola, fresh fruits and yogurt is beautifully prepared and fresh. 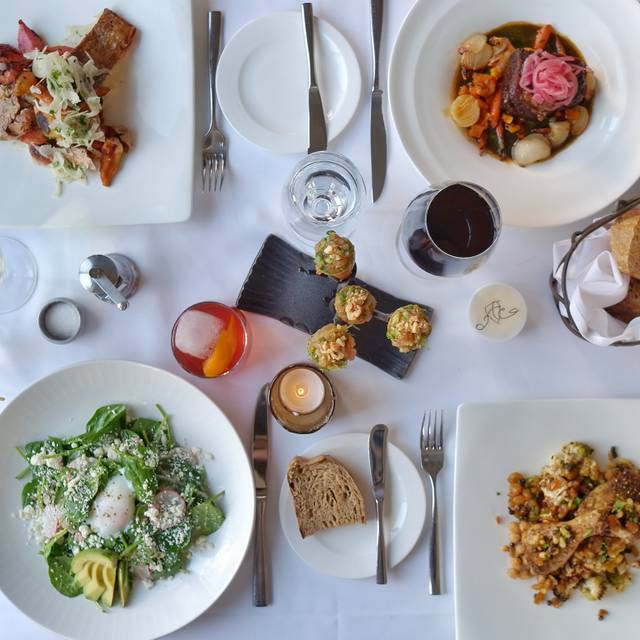 Dinners are gourmet quality -- so much better than one would expect at a ski resort. Everything we've ordered - appetizers, entrees, and desserts - have been exquisite, and the service is attentive and friendly. We highly recommend this place. We loved the elk and the scallops....not typical to get 6 good size scallops for a main! Cost was reasonable to people that live in San Francisco. On my second visit in two months and the food was consistent and outstanding. Portions were a little small or this was five stars for sure. It’s likely that this is the best restaurant in the Squaw Valley area. I’m certain the best restaurant within walking distance from the mountain. Always happy to return to PJC for a nice dinner. Was not disappointed again. The elk was tremendous and my wife enjoyed the catch of the day. Great evening with attentive service. It was just excellent food! 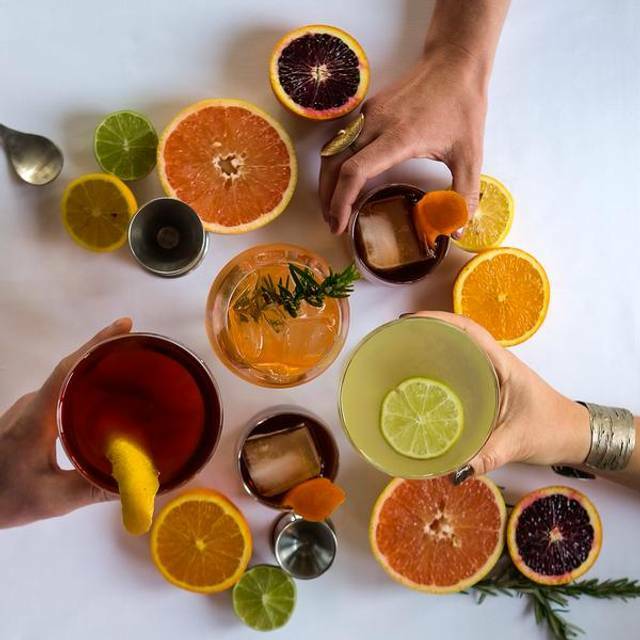 We tried a couple cocktails and loved those too! Never disappointed, food was amazing and our service excellent. Food was superb!! Server was fabulous!! This is a magnificent restaurant! Loved it so much, we went to their bar the next evening for dinner!!! Highly recommend!!! Great elk racks in the restaurant. 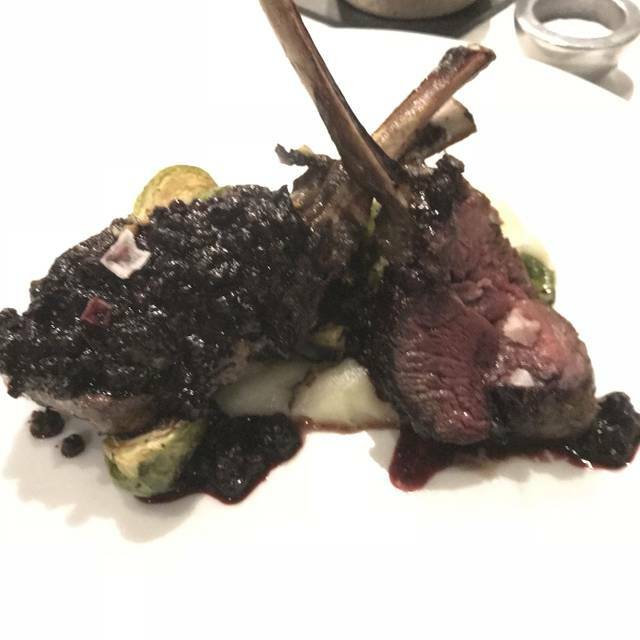 Roasted Brussels sprouts were delicious, berry sauce with green peppercorns was terrific with the elk. The house salad lettuce was sandy, and we were surprised to be told that they have had this problem before. Turns out they put their lettuce into a basket and run water over it. We always soak our salad lettuce in plenty of water, swish it around, then spin it dry and never have had a problem. Our waiter was excellent and even offered some special extras on the house to celebrate our 25th wedding anniversary! Food was delicious too. Some co-workers and I drove up to Squaw before our meeting in order to have a ski day. They had never been to Squaw, so dining at Plumpjack was a great start. We had a wonderful ski day on Monday, and productive meetings after that. Our best dining was at Plumpjack. Reservations were made through open table. We wanted a table for 4 but there was supposedly nothing available so we dropped it down to 3 (my son was the lucky one ordering takeout). As we walked in there were unruly toddlers in pajamas jumping around and screaming in the lobby. No problem, assumed things would improve. We were seated at the worst table (with 4 seats!!) in an empty overflow room. Waitress was rude, like we were troubling her for her presence. Dinner was rushed, over salted and really nothing special. Very over priced for what we experienced. I waited tables for many years and I always over tip, I under tipped here and still feel ripped off. The best part of the night was the pizza that we picked up for my son on the way home. This was the last night of our trip and we wanted something special. Instead, a very bitter taste left after the PlumpJack experience. Don't do it. Our only complaint was the availability of more Plump jack wines. Im not sure if they have a new Chef this year but our dinner was the best we’ve had here. Always good but this time outstanding. Love the friendly staff and knowledgeable Sommalier. I had the “melt in your mouth” scallops perfectly prepared. My husband had the Ribeye, ever so tender. It’s our go to “nice” dinner place when in Squaw Valley. I was told that this is the best restaurant in Squaw Valley. It is definitely the most expensive. The food was average. This did not meet my expectations. Live and learn. Every year we dine at Plumpjack and we noticed the food wasn’t quite as good as it’s been in the past. There was nothing that made us think “wow, want to go back to Plumpjack’s”. The salad starter was basic, the charcuterie decent and the soup was very good. No longer does the restaurant make its own ice cream, usually a high light for us. It’s still a solid 4/5 but it used to be better. Good food and excellent service in a cozy atmosphere made for a fantastic family dinner. We’ll be back! Thank you for joining us and we hope to see you again! Plump Jack Cafe Squaw Valley was a treat in February on Valentine's Day, where we dine yearly. This year did not disappoint. Lucky for us heavy snow kept the crowds away making the restaurant a more intimate dining experience. Except for the howling winds and swirling snow outside the windows, the food was sublime and service was friendly and unrushed. A special treat was the house infused Acquavite (a Nordic liquor) which we tried neat and in a Copenhagen Sling. For appetizers we tried the salt cod cakes and the little gem salad. Both were excellent. For the main course we both picked the striped sea bass prepared Asian style with spiced crispy skin a-top pureed peas in miso broth and sunchokes. The server recommended a wine which nicely complimented the meal. The dining experience was pleasant. Once we broke the ice with the staff after being seated and getting our cocktail, the evening became more enjoyable. It was a little "stiff" in the beginning without a connection being made. The server, although friendly, lacked the knowledge to identify and share the selections on the Charcuterie and Cheese board; after it was served, we had to ask. The Elk was phenomenal and cooked perfectly. The server opened our wine to allow it to breathe at our request, but neglected to pour it throughout our dinner. The seating arrangements were a bit too cozy and close together for an intimate setting/dinner. The food was gourmet. They had Elk. Also, boar stew. The waiter was excellent, really caring about our food being served to perfection. His name was Joe. That type of caring adds a lot to the dining experience. Hello, what a delight to hear! Thank you for taking the time to review us, your kind words mean a lot! We hope to see you again, thank you for sharing! Happy Anniversary! Thank you for joining us! The steak was outstanding! The service was very kind and responsive. I’ll be hitting this place up again next time I’m in town. Thank you for your review we look forward to the next time you are in town! We very much enjoyed our experience at Plumsjack. The tomato red pepper soup was amazing, the half chicken was tender and flavorful and the Elk rack was delicious. We had excellent service by Jeremy, and enjoyed meeting the wine director, Jason. We will definitely return. Yum! I am getting hungry just reading this review! Thank you for joining us and we look forward to your return! More great food and wine is always on the menu! We had an amazing dinner, excellent service in a great environment. I would not change anything. Fairly small dining room, but very cozy and romantic. Great for a special occasion. interesting items on the menu like boar, elk, blue nose fish... Food is great, vibrant bar scene before you enter the dining area. Great service! Thank you for joining us for dinner and for taking the time to review us! We greatly appreciate it! See you again soon! It was super noisy and not a nice atmosphere. The place was packed though. We wanted to order some appetizers from the bar menu in the main restaurant and they wouldn't let us so I just had a soup and salad which were ok but not great, especially given the high prices. The main menu is pretty sparse and we couldn't find anything we liked. I don't think I would come here again, too hoity-toity and trying too hard to be exclusive for Squaw Valley. Not many options in the area and they know it! Extremely overpriced for what it is. Thankfully their kids menu is moderately priced. The dinner was excellent, service attentive and a great way to celebrate a birthday! Thank you kristinL! Hope you had a wonderful birthday and a great upcoming year! Hello JeannetteR, We are happy to hear you enjoyed your experience! Thank you for joining us! This place is always amazing! Every dish is tasty and the menu has something for everyone. The wine list is perfection and the cocktail list makes me thirsty every time I see it! Wines from all over the world and fresh ingredients make drinking here a wonderful experience! The best food in Tahoe! Thank you for taking the time to review PlumpJack Cafe. We appreciate your positive feedback and look forward to seeing you again! Cheers! Service was good but a bit slow. We’ve been coming here for years (special occasion meals) and we feel the flavors of the dishes seem to have gone a bit downhill. Still quite pricey, but the portions are smaller and not as good. Holiday dinner. Amazing food and service. This is a special restaurant and away from the crowds. Squaw Valley gem. Thank you so much for spending your holidays with! We look forward to seeing you again.